3 Months Gaana+ Subscription For Rs.6: –Hello there, PayTM is offering Gaana+ Subscription for 3 months at Just Rs.6. Any user can avail this offer. In gaana+ Subscription, You get Free HD Music Streaming for 3 Months. You can Even Download Songs in HD and Stream them Offline. 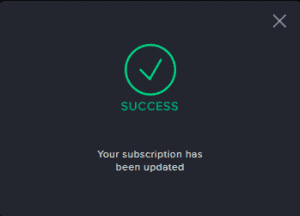 If You are a new user then You will get total 4 months Free subscription. 2. Now You will get The Voucher code to activate Gaana+ Subscription. 3. Click on Menu >> Settings and Scroll down to Offer & Promotions Section and click on Redeem Coupon. 4. Apply The Promo Code that You got from gaana & Confirm Your Free Subscription. 5. 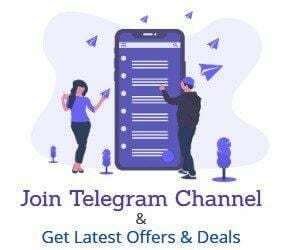 You will get Free 3 Months Subscription at Just Rs.6 Enjoy! 1.Download gaana App From Playstore If You haven’t Installed yet. 2.Now Signup or Signin to your Account. 3.Click on Menu >> Settings and Scroll down to Offer & Promotions Section and click on Redeem Coupon. 5.Done, You are now Subscribed to Gaana+ and You can Avail Premium Services for Next 3 Months+1month free for New Users. Enjoy ad-free access to India’s largest collection of songs. Also, download and stream unlimited songs on your Android and iOS devices in HD quality. you can use the referal code “ANK6N2J” and get 1 month of free gaana+ subscription. 100% working and also working for me.